Transporting delicate electrical components has always required a little extra care, because the build-up of static can cause damage, but we have the solution for you. Our anti-static bubble wrap is ideal for such applications, because it offers all the protection you could possibly need. 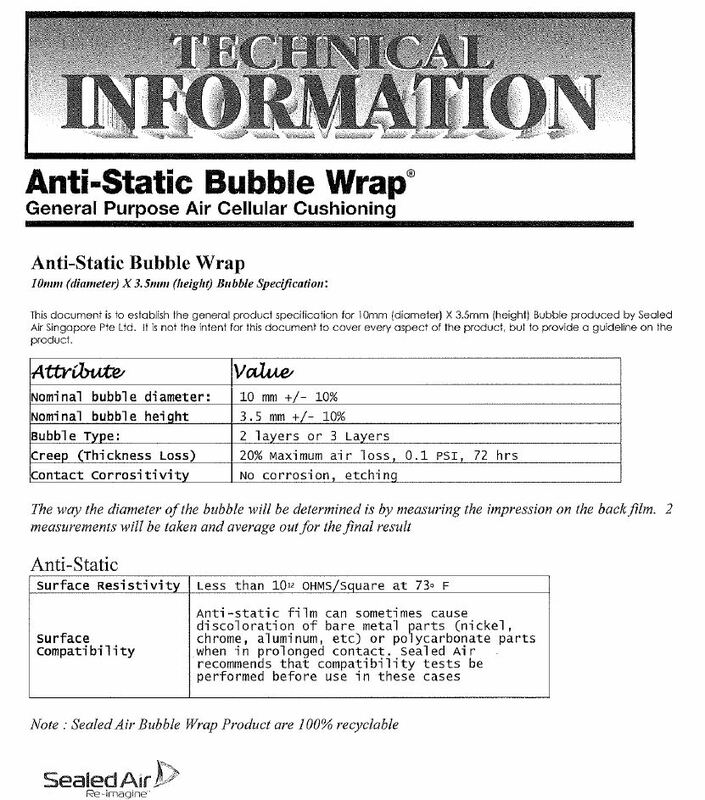 Antistatic bubble wrap rolls are made from small bubbles (diameter of 10mm and a height of 4mm), and are pink in colour. Every roll is manufactured from a tough 45 micron polythene and weighs 6.3kg. Our pink bubble wrap has anti-static properties, which stops the production of electrostatic charges in handling and prevents static electricity discharging to your goods. This makes it ideal for protecting products sensitive to static electricity, such as delicate electronic components. This anti-static bubblewrap is made by Jiffy and includes a nylon membrane to stop air escaping. Bubbles therefore stay fuller, offering better cushioning for a longer period of time.